Fiber Flux: Free Knitting Pattern...Holiday Rosette Brooch! 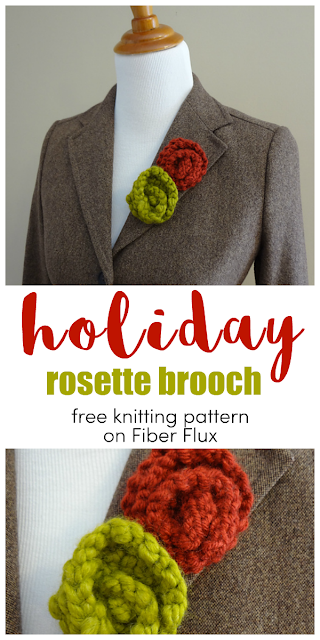 Free Knitting Pattern...Holiday Rosette Brooch! 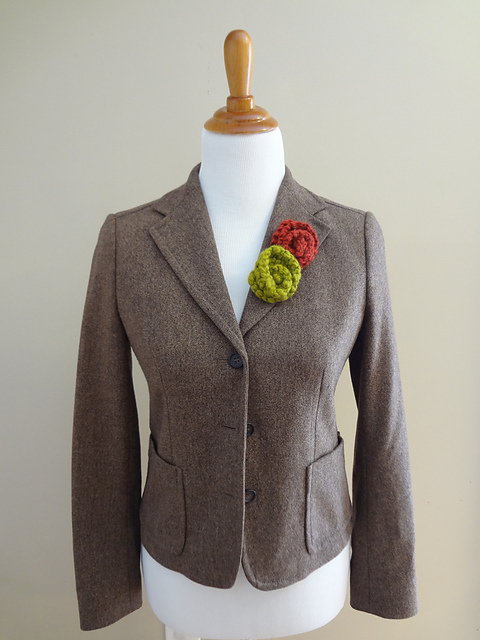 If you want to jazz up a coat or blazer this season, here's a fast little pattern you can work up with some leftover scraps from your yarn basket. I love putting these on kid's hats, but here is a way to incorporate them into your wardrobe too! 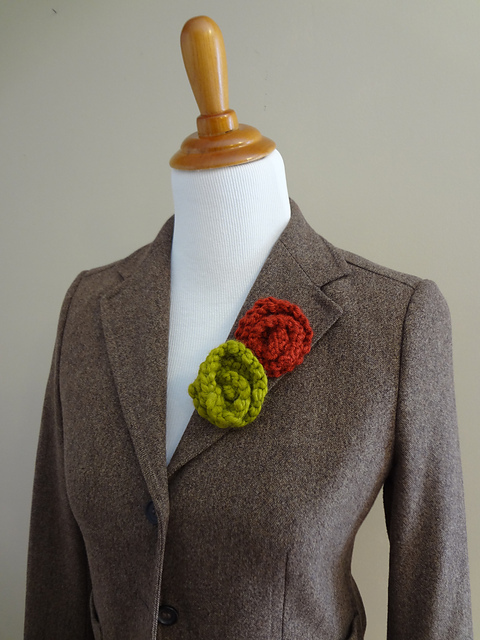 Note: 2 brooches are shown in the picture and pinned side by side. US 10.5 needles are used for the rosettes shown, but with this pattern it's really fun to experiment with different yarn weights and needle sizes. BO and weave in ends. Coil to form a rosette. Stitch together to hold in place and attach pin backing to back of rosette. 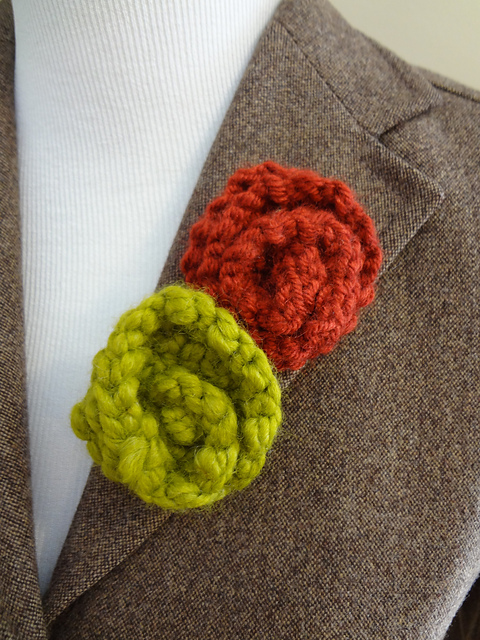 (Green yarn is Lion Brand Wool Ease Thick and Quick in Lemongrass, and red yarn is Lion Brand Vanna's Choice in Brick). Oh I love these roses! I hope I can get the same color of yarn from the store. Thank you for blessing us with a gift of your beautiful patterns everyday. I am with Mereknits...we are so blessed! Now, if I just knitted. :) Also, I LOVE your bodice. It makes everything look so splendid! Thank you ladies, what thoughtful and lovely comments. Now my day is complete! I will have a smile all day long, so thank you!!! Hugs!